The Kizer Nomad Flipper features a Dirk Pinkerton design inspired by the middle-eastern Khanjar dagger. It is outfitted with a stunning upswept blade that fits perfectly with the contoured lines of the titanium handle. 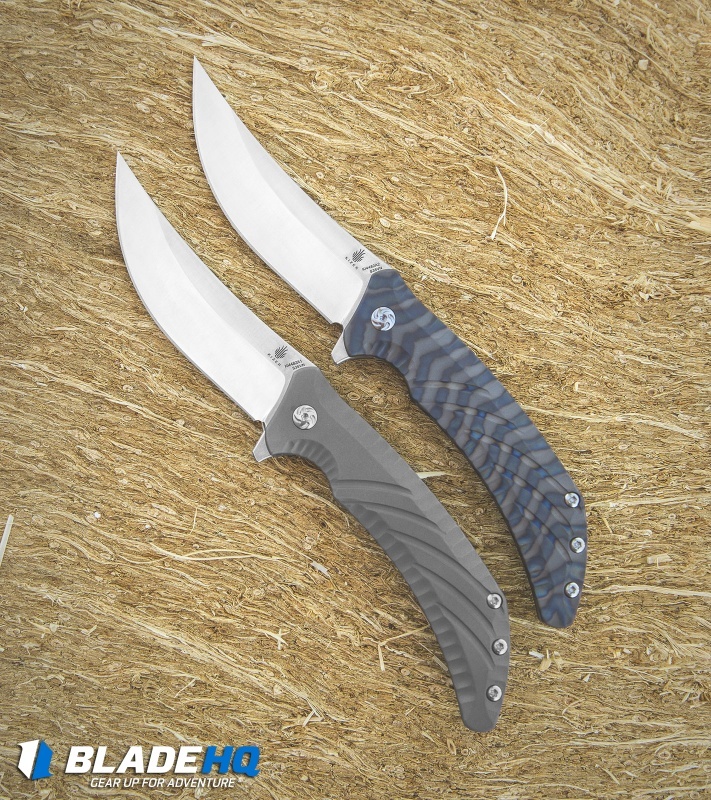 The blade is made from satin finished CPM-S35VN steel and comes with a thumb stud and flipper for quick deployment. Elegant contouring and machining accentuate the flamed titanium handle. Includes a tip-up carry pocket clip for right hand use. The Kizer Nomad offers the blade control and versatility that are essential to a good folding knife. This was my first mid tier China produced knife and I can say I was more than satisfied. The quality and craftsmanship of this blade is excellent and rivals any US produced blade. While this is a very large blade it carries very well. I have this one in my daily EDC rotation. The flame treatment of the scales gives a great custom finish. The blade is very well balanced overall and comes super sharp. Overall I would absolutely recommend this to anyone and the Kizer line is one I will visit again. Loved the look of the knife as pictured, plus it is a Kizer which is one of my favorite brands. When I opened the box, at first, I thought I had gotten the wrong knife. Upon closer inspection I realized that it is essentially the same knife I ordered but the colors on the handle were more muted, dull. 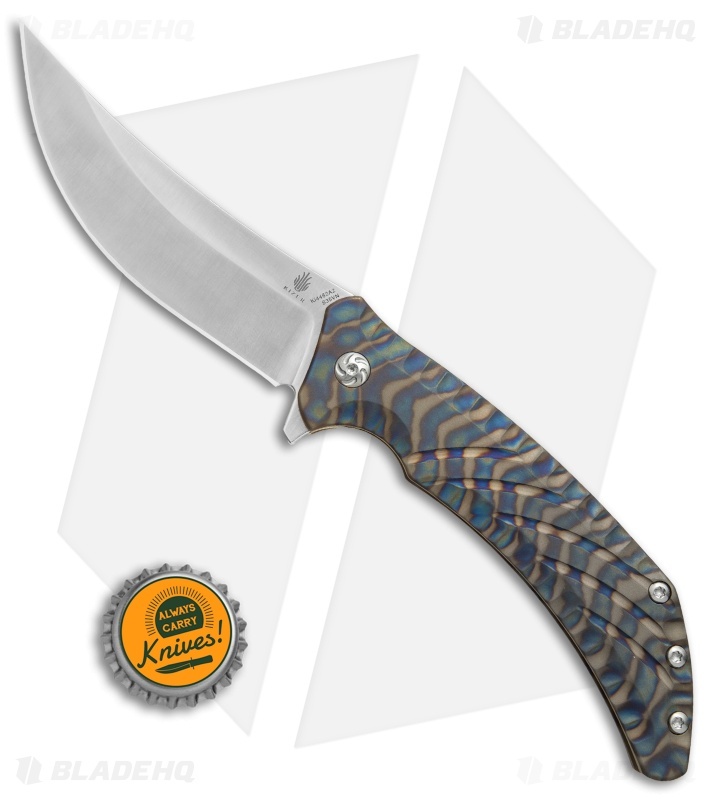 As others have mentioned the picture on the website is a LOT more colorful than the knife I received. After looking at the knife and playing around with it a bit it is a solid knife well worth owning. For one thing it has an awsome blade! The feel in your hand is comfortable. 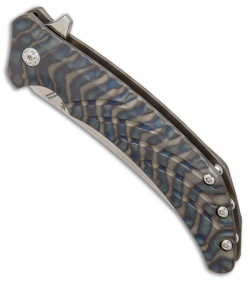 It flips open smoothly, it locks up tight, and the blade is sharp. Others I showed it to wanted it! It's a five star all the way. Funny the 2 comments re; color are a day apart. Could be the standard gray handle model accidentally shipped? 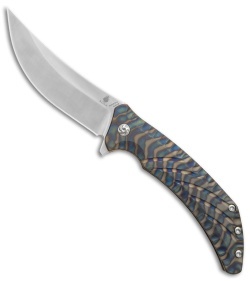 I have the flamed edition and it is colorful, flips smoothly and locks up tight. I've carried a pocket knife over 50 years, was a dealer over 10 years. 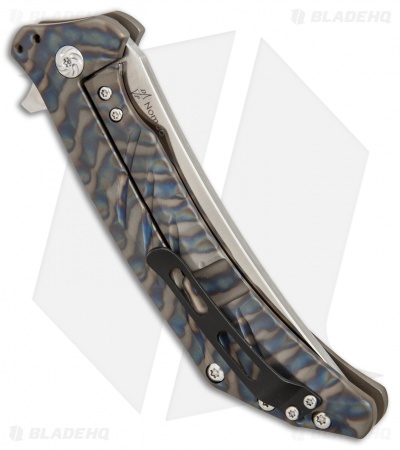 I don't carry a sub standard anything much less a knife lower then 5 stars even if it is just for work. What Joel C. said "The handle is almost grey and not flamed.. The picture is WAY more colorful. The blade is pretty much the only thing i like on it.. The handle is almost grey and not flamed.. The picture is WAY more colorful.. Weak detent, Not so snappy on the flip.. Also the clip is different .. Im considering returning it..